It’s that time of the year when the world’s favorite cookies are finally placed into the cookie jar: the Girl Scout Cookies. However, this year might be the last time you see the little girl with her brown vest and badges makes her way up your doorstep with a bag full of cookies… say what? Yup – it’s true. Girl Scouts are scouting their way into PR and cookie selling history by adding digital marketing to their formidable sense of charm, cuteness, and courage to sell millions of Peanut Butter Patties, Thin Mints, and other longtime cookie favorites to friends and relatives around the country. Despite the fact that the Internet and technology is becoming the best marketing tool in the world, some girl scouts want to stick to the traditional method of selling their cookies the old-fashioned way. 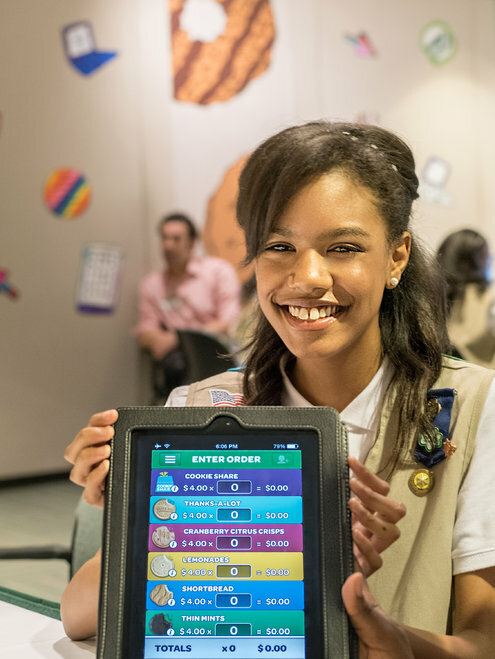 Technology may have won the heart of the girl scouts, but will it last?